Kevin Smith revealed all last night — and there’s a bit of a disappointment. If you have already bought your year-long 15-month membership for DC Universe, that means your first month will not have actual “new” programming on it. 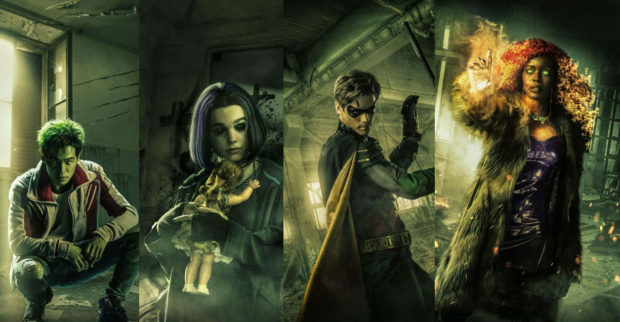 The superhero-centric streaming service will start up September 15, but Titans, the live-action flagship show executive produced by Greg Berlanti and Geoff Johns, will not debut until October 12. Granted, there will be plenty of animation up there, as well as some classic DC superhero films. And you may be able to find some great comics storylines you need to catch up on, as DC Universe includes a comics reader, which to me makes a killer feature. 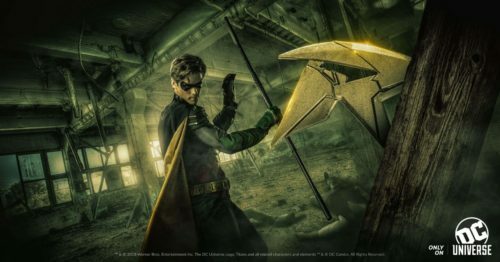 Titans was the cornerstone of the initial announcement for DC Universe, along with the third season of Young Justice. But at least DC gave us some better looks at the costumes. 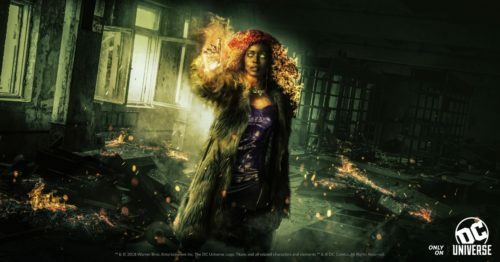 Please, please, please, tell me that Starfire gets rid of the fur coat. Otherwise, Anna Diop looks fine. 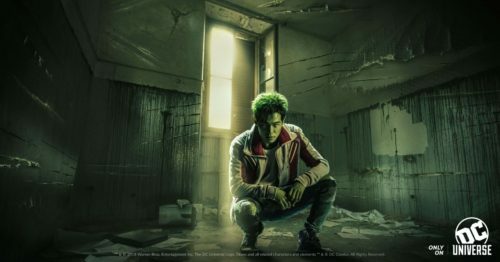 Ryan Potter crouches coolly as Beast Boy (Gar Logan) — and though I have reasonably realistic expectations on how they’ll visualize his power (somewhere between Vixen on the Arrowverse and Manimal), Potter seems like a good choice, and looks enough like Beast Boy without being too jarringly unrealistic. Plus, Potter has superhero experience, as Hiro in Big Hero 6. 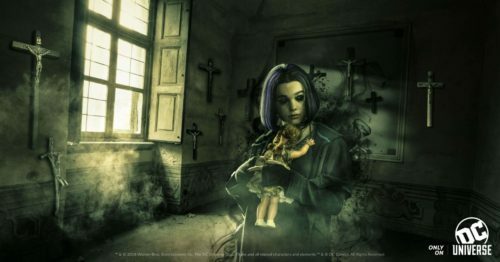 Teagan Croft plays a Raven a little younger than Marv Wolfman and George Perez’ original creation, but even Wolfman recently went back and wrote a “Rebirth” version of her who is much younger than she originally appeared back in 1982. From the trailer, it seems like she’s the catalyst to assemble the team, and that at least plays true to the comics. Anna Diop plays Koriand’r/Starfire, and if her name remains Koriand’r, then she’s still the exiled alien warrior princess of Tamaran. Again, the only thing I don’t like really like about her costume is the fur coat. It makes her look like a street kid — and knowing absolutely nothing beyond what the trailer shows, maybe that’s the intention. What’s more important to me is that out of Titans, we’ll get Doom Patrol, and last week Warner Bros. announced that Brendan Fraser would voice Cliff Steele, aka Robotman, in addition to the previously announced recurring roles on Titans of Hawk and Dove, played by Alan Ritchson and Minka Kelly. DC Universe also unveiled the logo for their most recently announced series, Stargirl. But is all that hype enough to get people subscribing before October 12?